Want to do something special for your sweetie this Valentine’s Day, but you’re a little short on funds? Don’t sweat it, because florist Kayo Higashimura is showing some love to NBCPhiladelphia.com readers, by giving away a FREE floral arrangement. Enter now to win a bouquet to send to your valentine courtesy of Hana & Posy in Old City. And we’re not talkin’ the same old, boring bouquet. You’ll be able to design your own special arrangement for that special someone. “Depending on who you are sending the flowers to and what you want to say, there are an array of flowers that represent different things. 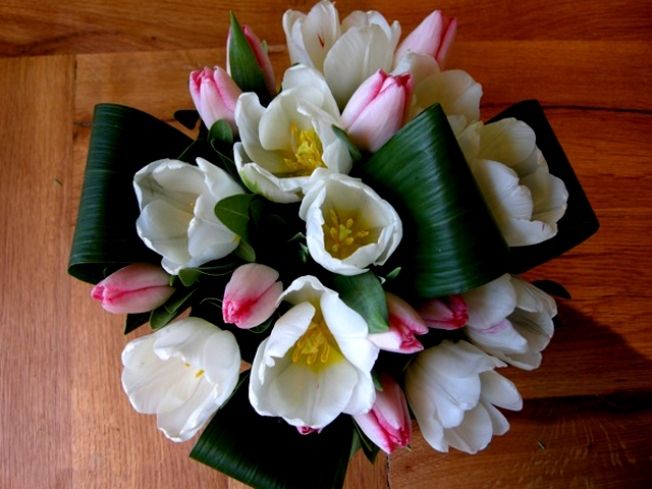 For example, tulips mean perfect lover, lilies mean majestic and purity, orchids stand for love, beauty and luxury. And, for those that just love their roses, pink roses mean admiration or grace, yellow means friendship and purple enchantment. Of course, traditional red roses are the ultimate way to show passion and I love you,” says Higashimura. Imagine how impressed she’ll be when you can explain the significance of all the flowers in the bouquet that YOU designed. We'll pick our favorite and voila! Free flowers. The winner will be contacted by phone on Friday, Feb. 5.